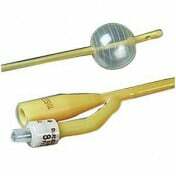 Bardex IC Silver Coated Infection Control Foley Catheters 2-Way | Bard 0165SI14, 0165SI16, 0165SI18, 0165SI20, 0165SI22, 0165SI24, 0166SI14, 0166SI16, 0166SI18, 0166SI20, 0166SI22, 0166SI24, 0166SI26. 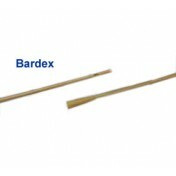 Bardex IC Silver Coated Infection Control Foley Catheters 2-Way, manufactured by Bard, are specially designed infection control catheters (IC). 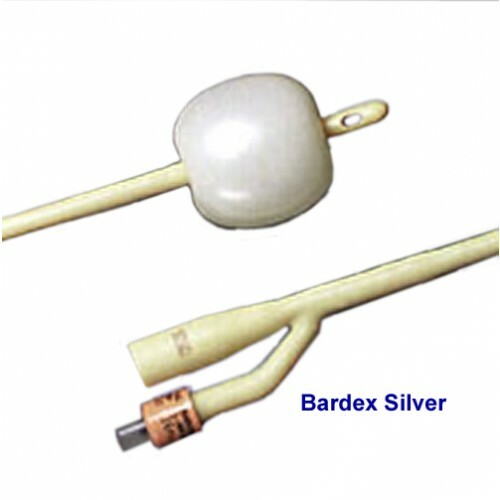 Bard silver coated foley catheters are specifically designed to fight bacteria and infections with a dual approach of a silver coated latex and hydrogel. These Silver Coated Catheters are clinically proven to reduce the occurrence of catheter related UTI infections. Bardex IC silver foley catheters are recommended by the CDC (Center for Disease Control) to control catheter related UTI infections when other sterilization methods have proven ineffective. These Silver Coated Catheters are latex catheters coated with a BACTI-GUARD silver alloy and lubricated with hydrogel. Infection Control Catheters reduce the need for antibiotics during catheterization. Clinically Proven to reduce the number of Urinary tract infections. Recommended by the CDC when sterilization methods are not effective. 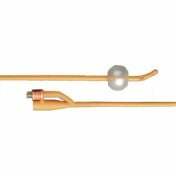 Foley catheter product number: 0165SI14, 0165SI16, 0165SI18, 0165SI20, 0165SI22, 0165SI24, 0166SI14, 0166SI16, 0166SI18, 0166SI20, 0166SI22, 0166SI24, 0166SI26. 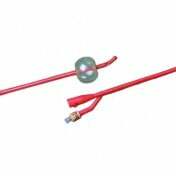 Would Bardex infection control catheters with a silver alloy and hydrogel coating be MRI safe? This would be for my grandmother. She has indwelling long term catheter, and suffers from UTI. I am wondering what would be the frequency of changing this catheter? We do not employ any medical professionals and therefore cannot answer any specific questions regarding this item. It's best in this case to contact a physician for a clearer answer. Being athletically active and an avid roller skater (skating nonstop up to 25 miles with catheter) comfort and minimal trauma from skating activities is critical for me. Also my last non-silver catheter plugged with bacterial encrustation in only 11 days, but I am at near 40 days now with this one. Also, I had previously used mainly size 12 Fr. but this one is 14 FR yet self insertion was still no problem for me.